The FamiLee Jewels: Organized? Not! It is something that I aspire to but rarely live up to. 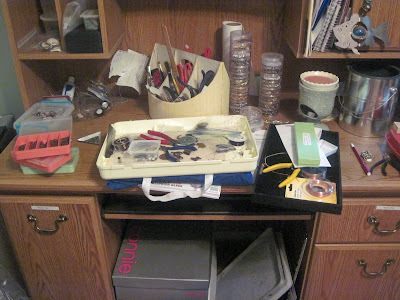 It is a struggle to keep my work room orderly when the brain works several projects ahead of the hands. 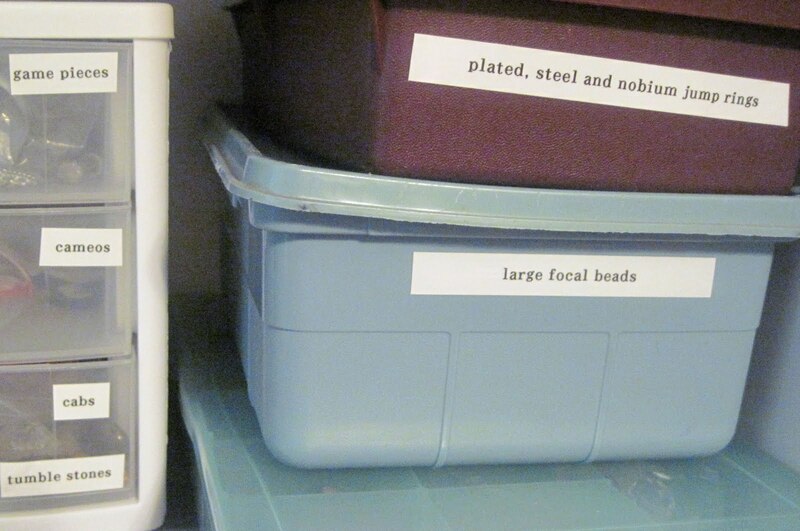 I have neatly labeled bins and boxes. Books filed according to topic and drawers are full of tools and supplies according to their use and type. The Reality of my Workspace. Living on top of these impossible dreams is a layer of my latest projects, at least a months worth of receipts, and stock waiting to be put away from my last show or shopping trip. My intentions are pure, but life gets in the way. Good for you, Bonnie! I whimped out this week. Was pressed for time, but also I just didn't want to flaunt my unorganized mess. LOL Truly that shouldchange in the next 2-3 weeks as I get a proper work space set up. Hooray for you a new workspace. it is nice having a place to work and then close the door without worrying about leaving a piece "in process".